Instinct were formed from the ashes of Pigbag by Simon Underwood, Angela Jaeger and James Johnstone. 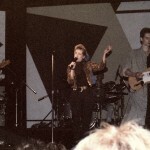 They signed to the ZTT record label, run by Trevor Horn and Paul Morley, home to Frankie Goes To Hollywood, the Art of Noise and Propaganda amongst others.Instinct recorded a few tracks for the label, but the only material released on record was a track, “Swamp Out”, on a ZTT compilation album, “ZTT Sampled”. 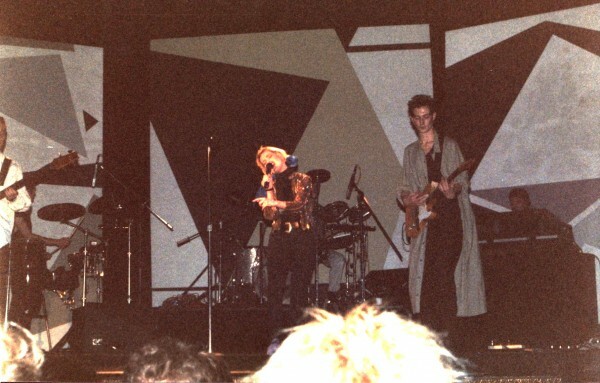 The band also appeared at the ZTT showcase shows at the Ambassador’s Theatre, London (where I was fortunate enough to meet them, briefly). A video and laserdisc of the shows were released (I do have a copy of the sound from this,and hope to make it available soon. I have a copy of the programme from The Ambassadors shows, which states on the Instinct page “RECORDS Sleepwalking (ZTAS11)”. But it didn’t happen….. 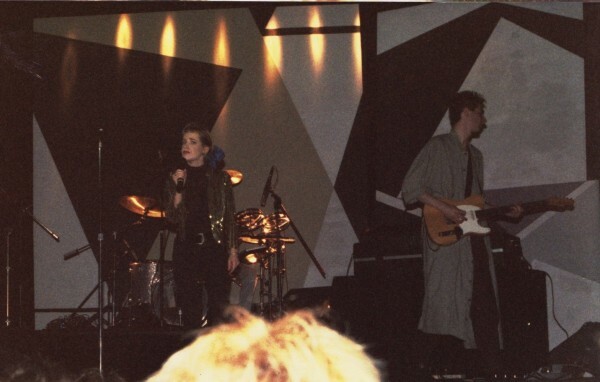 The ZTT And All That website has a copy of the Blitz magazine interview with the band. When Instinct signed to ZTT, I wrote to them and had a couple of letters back. A letter dated 30th April 1985 says they had recorded “Sleepwalking” with Trevor Horn producing and it was scheduled for June 1985 release, with an album to be recorded in July/August for September release. Nothing appeared. A little while later, I found out what happened. 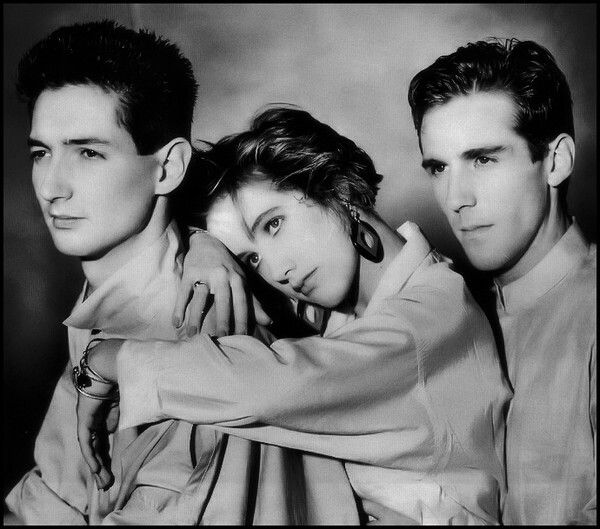 Instinct had a disagreement with Trevor Horn about the production, I’d guess the “wall of sound” treatment didn’t suit their music and the band and label parted company. Shortly after that, the band split. “Swamp Out” written by Jaeger, Johnstone & Underwood. Produced by Luis Jardim & Instinct. Included on “ZTT Sampled” compilation 1985. In February 2011, ZTT released “The Art of the 12 Inch” – a compilation of tracks by various ZTT artists. Included is “Sleepwalking (12 inch mix)” by Instinct, finally getting a welcome release after 25 years gathering dust. February 2012 saw the release of “The Art of the 12 Inch Volume 2” and Instinct featured once again, this time contributing the track “Swamp Down (12 Mix)”. Two years later, in February 2014, the third volume was release “The Art of the 12 Inch Volume 3“, this time not exclusively ZTT tracks but still featuring Instinct. This time the track was “Sleepwalking (Movement 2)”, an unusual entirely instrumental track. 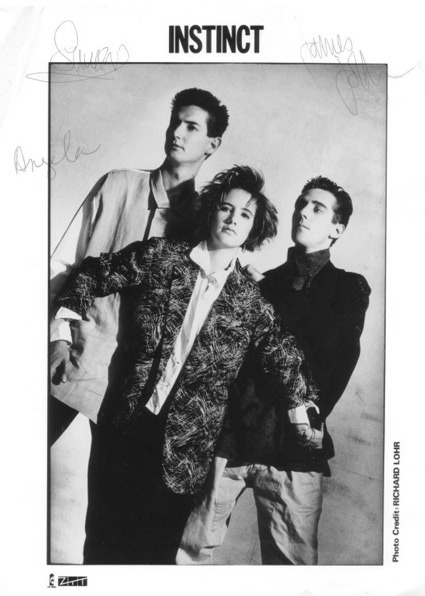 The same month saw another ZTT compilation “The Organisation of Pop“, a collection of ZTT singles, which included “Sleepwalking” by Instinct even though it was never actually released as a single. 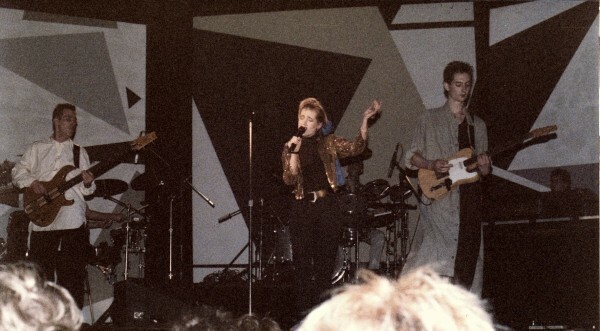 February 2015 brought the long-awaited re-issue and re-packaging of the 1985 ZTT compilation “The Value of Entertainment“. “Swamp Out” was included, as on the original release, but was joined by “Swamp Out (The Director’s Cut)”. 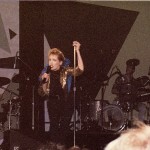 Additionally, a DVD was included featuring two Instinct tracks “Sweat To Pay” and “Keep The Dream (Full Version)” – these were previously only available on VHS and Japanese LaserDisc. 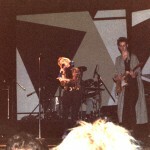 I recent dug out some photos I took at the Ambassador’s Theatre in 1985. The photos are pretty poor quality and very grainy but I thought I’d share them anyway. 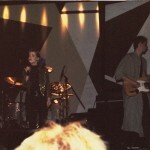 As far as I know they’re the only photos of the band performing.